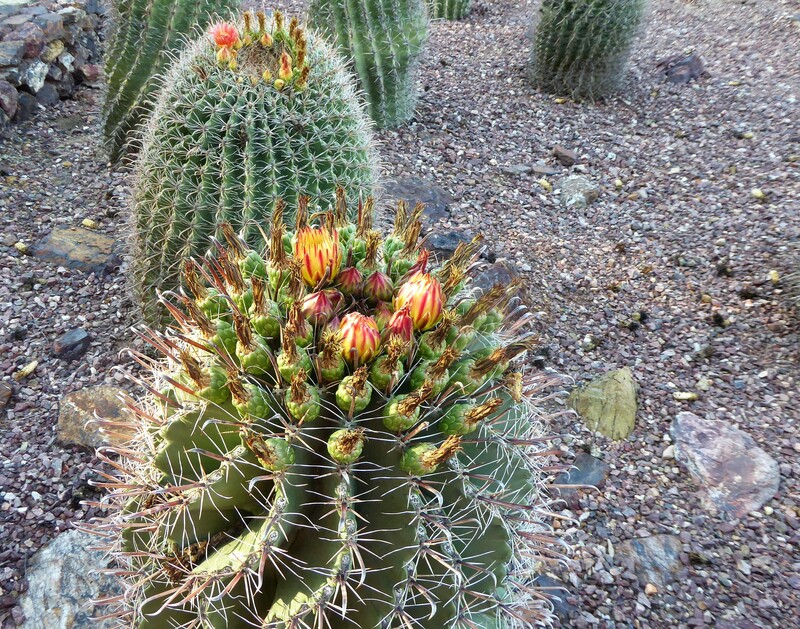 Fishhook Barrel Cacti can be found throughout numerous hiking trails in the Phoenix area. 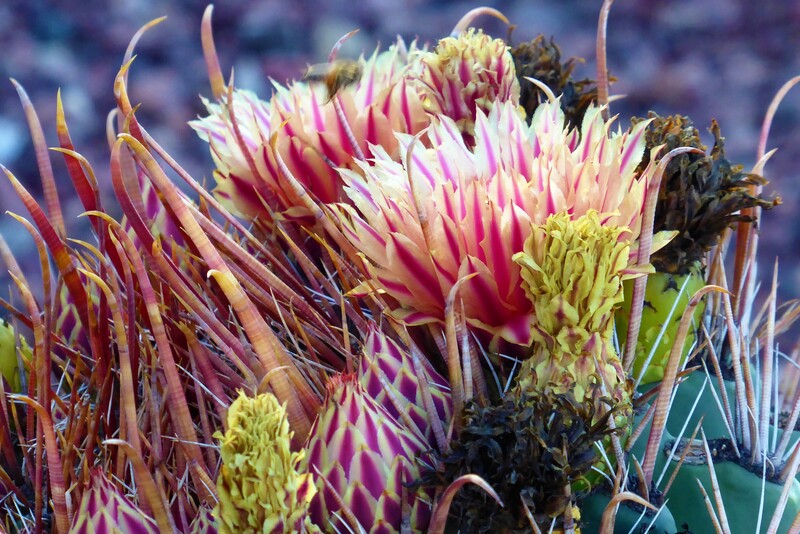 As the name implies, this cactus grows like a big barrel coming up from the earth with needles that look like thick fishhooks. 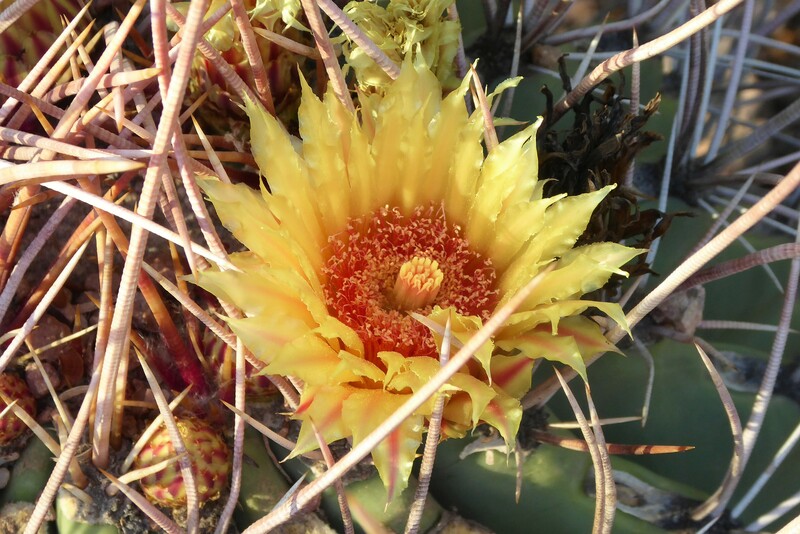 The fishhook barrel cactus demonstrates the danger and beauty that the Sonoran desert contains within. From the harsh looks of the gnarly needles that are unforgivingly waiting to snag you, one may feel very intimidated while hiking past this cactus. Although, on the other hand this cactus will grow amazing flowers, inviting visitors to get closer and inspect the beauty growing up from the needles. During wildflowers season this is a great cactus for hikers to stop and explore. This distinctly balance of danger and beauty is found while hiking all throughout the desert and the fishhook barrel cactus is no exception. The fishhook barrel cactus can grow for a life span of 50 to 100 years and is typically common to grow up to 2 to 4 feet in height (although, some have been found taller). 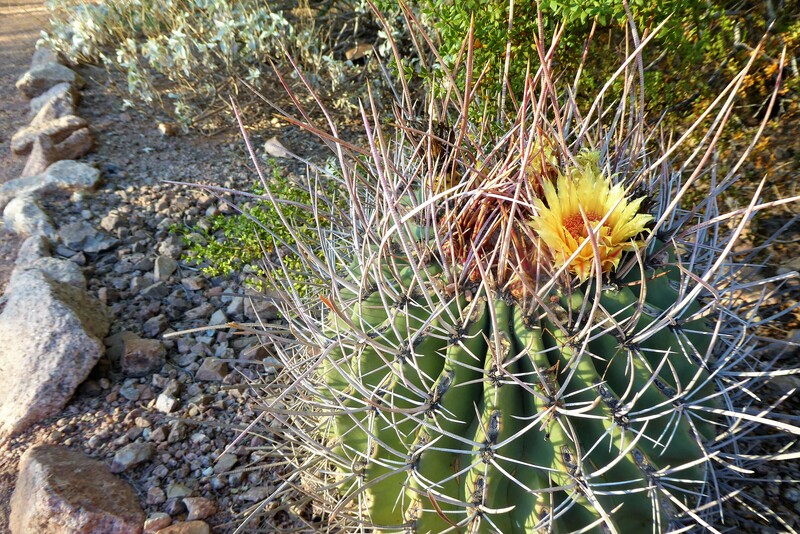 You will likely spot this cactus in flatter areas, washes or on rocky inclines. While the barrel cactus makes a fun and unique model for photography hikers, just remember to stay back to avoid being poked by those big needles!